I would like to begin by acknowledging the Squamish, Musqueam, Tsleil-Waututh, Katzie and Kwikwetlem peoples on whose traditional territories Simon Fraser’s three campuses stand. And back home in the United States, today is the National Day of Mourning, and I would like to express solidarity with the Wampanoag and other indigenous communities who are marking the genocide of millions of Native people, the theft of Native lands, and the ongoing assault on Native culture. I am grateful to be here to talk with you all today. I am focusing on the future of the public missions of universities, and I want to start with a deeply inspiring story about something I am sure you will all immediately recognize as being centrally important to this topic. 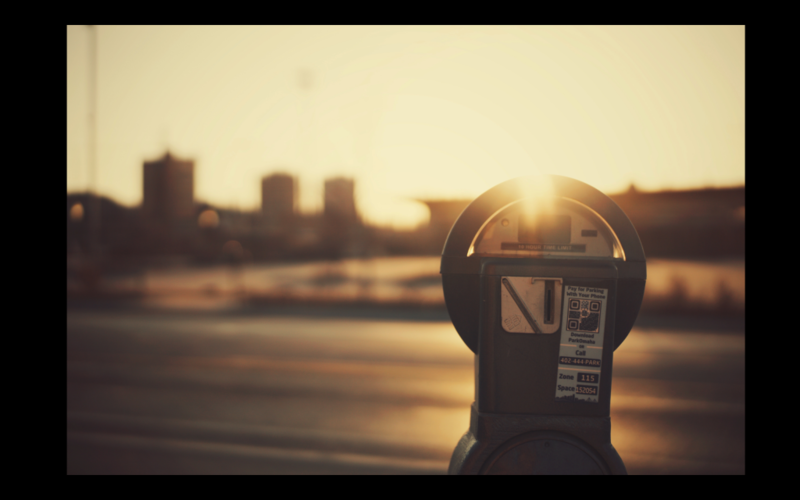 In 2008, the city of Chicago, Illinois entered into an arrangement with a private vendor to manage the city parking meters. Deals like this seem to make sense. Instead of paying out scarce taxpayer dollars to fund expensive infrastructure, our communities contract with private investors in win-win arrangements that deliver both public infrastructure and private profit. I like to think about parking and bridges and roads. As a scholar of early American literature, infrastructure isn’t something I was encouraged to think a lot about in my academic training. 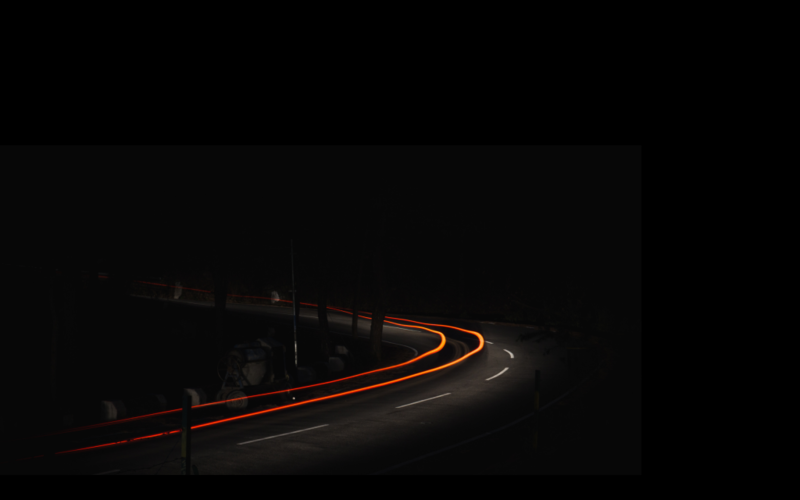 As I’ve come to work on the scholarship of teaching and learning, I’ve become more interested in what the roadways and paths that carry learning look like, and what they should look like. So I think more about infrastructure. Back to Illinois. The Indiana Toll Road privatized, and for a decade, travelers enjoyed an efficient new roadway and reasonable fees. And then the honeymoon ended, and the concessionaire started extracting the full maintenance and operation costs by charging motorists double for tolls. During President Donald Trump’s recent visit to the Middle East, Saudi Arabia committed $20 billion to a new Blackstone infrastructure fund. I know this talk is supposed to focus on the public mission of universities, but universities are not spaces that are separate from their contexts. I hope you will indulge me as I explore some of the ways that our publics are getting tangled with private profit across a number of sectors and spheres, so we can think about what that means for the changing shape of our learning communities. I particularly want to think about public infrastructure. Not so much the public goods, but the public flows; not so much what we own in common, but how we exist and own and interact as a commons. So that’s why I started with transportation, which is such a salient metaphor for how we connect together as humans in a public network. So let’s hit the highway and drive down to Florida. In Pinellas County on the western coast, taxpayers rejected a 1¢ sales tax to pay for expanded bus and rail. And just two hours east of Pinellas County, public transit advocates in Altamonte Springs failed to garner enough support to create a public “FlexBus” system. Instead of their publicly-funded transit initiatives, both Florida communities ended up partnering with Uber. And they’re not the only ones. In the United States, Uber has public transit agreements with San Francisco, Atlanta, Philadelphia, Dallas, Cincinnati, Pittsburgh, and more. In New York, riders can use pre-tax dollars to carpool using Uber. Users will make the choice that’s best for them. If they prefer to not have a smartphone that’s the life they choose to live. 77% of Americans now own smartphones. I don’t know what the percentage is Altamonte Springs, but I can pretty safely say that many people who do not have access to smartphones in Altamonte have not intentionally “unplugged” as a “lifestyle choice,” and also that many people– especially young people, elderly people, and poor people– who do not own smartphones especially need access to public transportation. In 2016, nearly 9% of US households did not own a car. It’s not hard to imagine the Venn diagram between smartphone ownership and car ownership. And this is where Uber and public buses or rail diverge. While Uber’s model caters to the majority, a public system ideally attends as well to the vulnerable margins. While Ubers don’t all have the capacity to pick up a passenger who uses a wheelchair, all city buses and trains are equipped to accommodate disabled passengers. At its best, a public is shaped by its inclusivity, and access is a core tenet of its infrastructure. The Uberized version, however, nails the robust market even as it occludes any public needs that erode profit. So I’m worried that our public infrastructures are starting to conform to markets in ways that muddy our public missions, and I am worried that this conformity is ultimately going to rob us of the ability to recognize what a public infrastructure would look like. Public infrastructure is certainly changing shape. North American postal services, both in Canada and in the U.S., are a good illustration of this. On the one hand, far fewer letters are being sent, which erodes the market for one of the core services offered– as well as one key source of revenues. 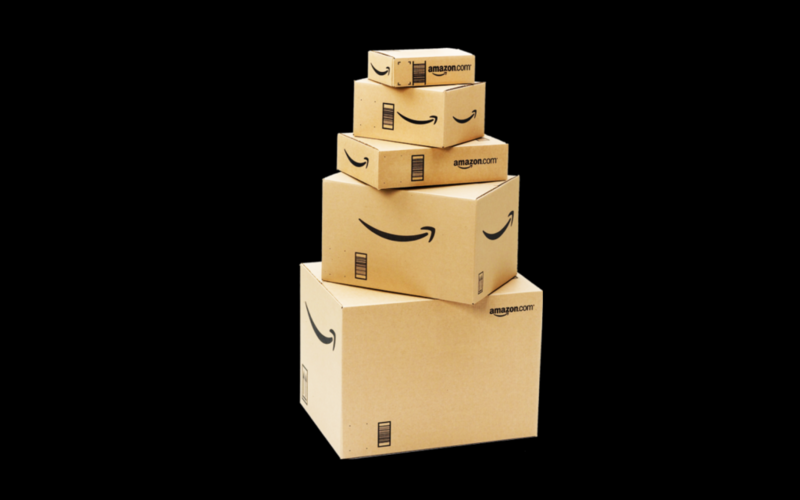 On the other hand, thanks in particular to Amazon, a booming online shopping industry means that more and more parcels are traveling through the post every day. In the parcel delivery service, however, Canada Post has many competitors, including UPS, Fedex, Canpar, Dynamex, plus Purolator, which– interestingly–Canada Post owns. One Canadian economics reporter argued that it’s time for Canada Post to privatize because “delivering clothes, books and electronics for Amazon hardly qualifies as an essential public service.” It’s interesting to see the existence of a public service like postal delivery being so directly tied private commerce, but Amazon is interesting in another way as well. Amazon isn’t just an online retailer. It’s infrastructure. Every time you “log in with Amazon” or “check out with Amazon,” every time you research your purchases and decisions and surf the algorithms tied across your linked platforms, Amazon is increasingly providing and commodifying the pathways we use to interact with our world and each other. I think we need to spend more time thinking not about what products are being sold to us, but how our ways of being are slowly– maybe rapidly, actually– becoming points of profit for investors who aren’t invested in, well, us. Transportation, postal delivery, commerce. This is the infrastructure underneath daily living. In addition to how we travel, mail, and spend, there’s also how we communicate. 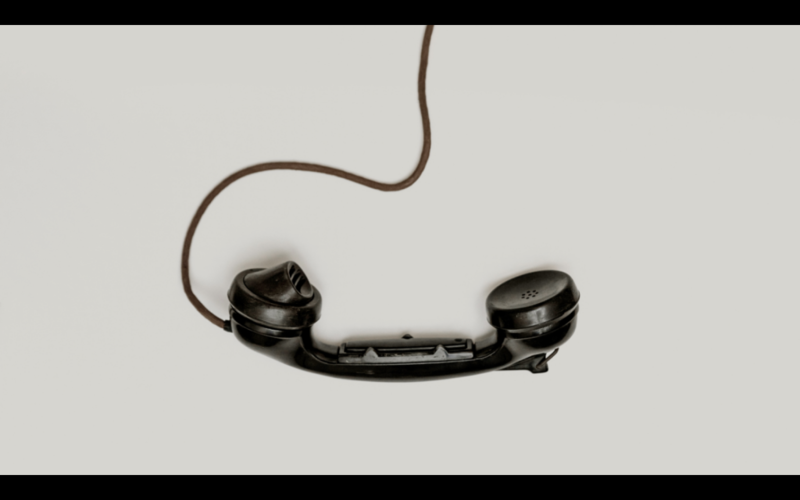 There is possibly no infrastructure more crucial to a community than its communication systems; sometimes it may even seem that community is communication. Both come from the Latin communicare, “to share.” But these systems are privatizing as well. In 1990, the Alberta government began the process of privatizing Alberta Government Telephones. In 1991, the province sold its remaining ownership interest in AGT for $870 million. The win-win logic is again obvious, as ailing infrastructure would mean radical tax hikes if the public were to fund the up-front costs of improving technical structures that need to be kept current. And maybe it’s hard to understand how such a sweeping privatization changes the shape of our communications and therefore of our communities. So let’s look at one smaller example of how the privatization of communication has affected real people and their ability to cultivate their human connections. 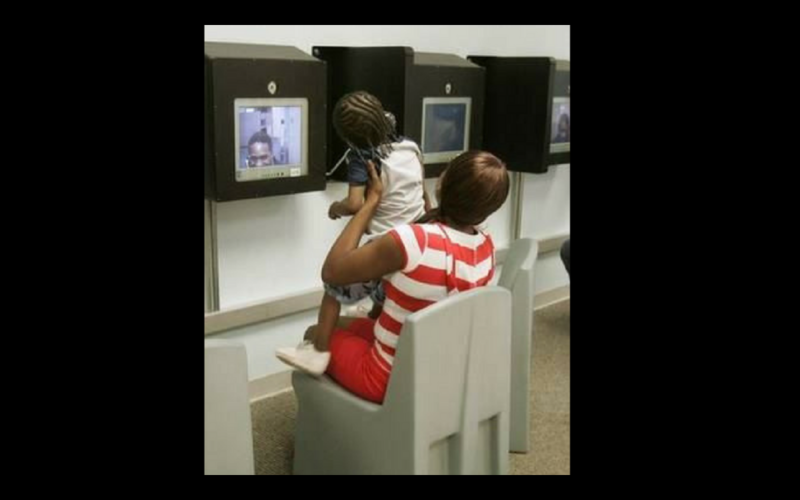 Video visitation is when visitors can communicate with incarcerated prisoners over video feeds. Often video visitation happens when both the prisoner and the visitor are on site in the same building, but separated by many rooms and barriers. 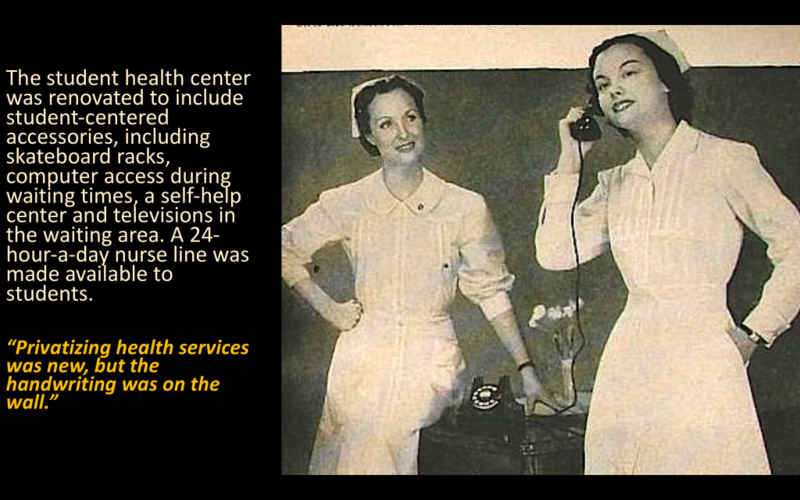 While video visitation has been around for a long time, it was usually clunky and sporadically located. Over the past decade, however, facilities have outsourced the systems to corporations, often as part of a package that includes phone services. The privatization of prison communication is part of a larger, more familiar prison privatization narrative. In 2018, 8.4% of prisoners in the United States were housed in private prisons. GEO Group, one of the two largest prison operators, was one of the few publicly traded companies to openly donate large sums to the Trump effort (GEO Group also built the New Brunswick Miramichi Youth Detention Center under contract with the provincial Department of Public Safety, then had its contract ended in the 1990s after public protests). 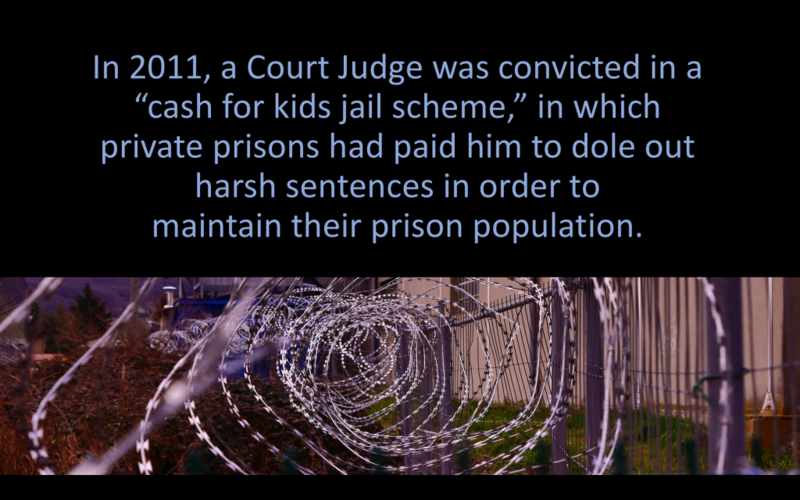 While there are a numerous reasons we might be concerned about the privatization of prisons, one obvious example is the 2011 case of a U.S. judge who was convicted in a “cash for kids jail scheme“: private prisons had paid him to dole out harsh sentences in order to maintain their prison population. The privatization of our communication channels and the privatization of our prisons are related phenomena that subjugate both humanity and the public good to profit. In most cases, this happens not because the public wants to erode its communities, but because the sales pitch offered by private industry is seductive, and it delivers. When roads crumble, private industry can repair them quickly. When you’re stranded in the rain, private industry can get pick you up. When you need to make a call or house a prisoner, private industry can build a shiny box that serves its purpose. But the dark side is deeply ironic. The road is smooth, but the tolls are high. Michigan law allows any private property owner to withdraw water from the aquifer under their property. One of Nestle’s key bottling plants is in Michigan, just 120 miles from Flint, which suffered a colossal drinking water pollution crisis in 2014. Many residents in Flint are still drinking bottled water (though the schools have been retrofitted with water filtration systems courtesy of a private donation from billionaire submarine failure Elon Musk). And what heartbreaking irony is it that much of that bottled water has been extracted from the public aquifer just down the road, packaged by Nestle, and then sold back to the public at outrageous markup? 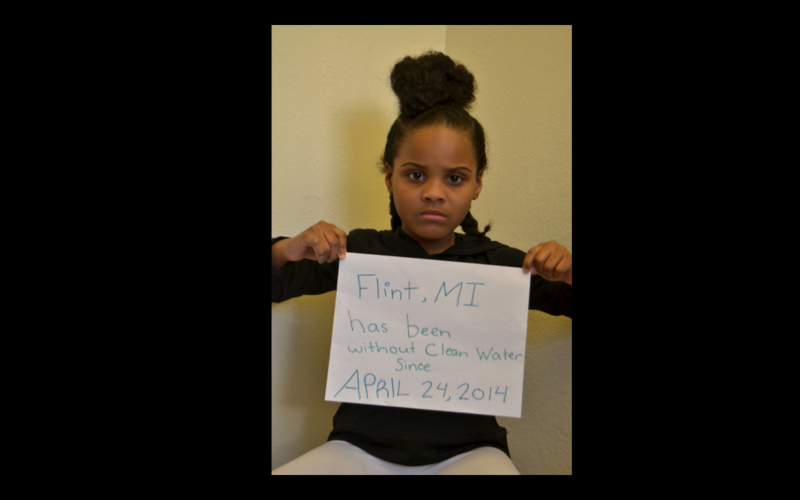 For this privilege, Nestle pays Michigan a $200 a year paperwork fee, and nothing at all for the water. The government tells Flint residents that the tap water is safe to drink, but many residents don’t believe it because that’s been said too many times when it wasn’t true. The water issue in Flint is about aging public infrastructure: lead pipes that caused the contamination and water treatment that didn’t correct the problem. It’s about environmental racism and which problems get attended to by those with the power and money to fix them. And it’s about public trust, since the initial foul water scandal is only one aspect of ongoing betrayals in Flint. When we see public breakdowns like Flint, and the clean Nestle water ready to ship out, we might ask where we draw the lines between the products we want and the services we need in order to live a human life? Is water public infrastructure? Is air? Is education? 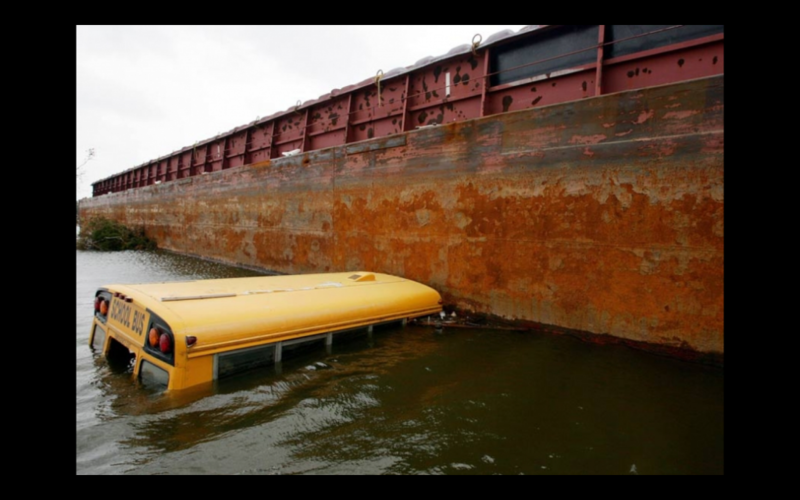 The post-Katrina charter system doesn’t drain money from the ‘regular’ school system. In New Orleans, there is no other system. It’s the colonizing of our communities, where we have people running the quality-of-life institutions in our communities through the way they see us, through their lens… If charters were so great, white folks would have them, but they don’t get charters. They get magnet schools and well-funded neighborhood schools. 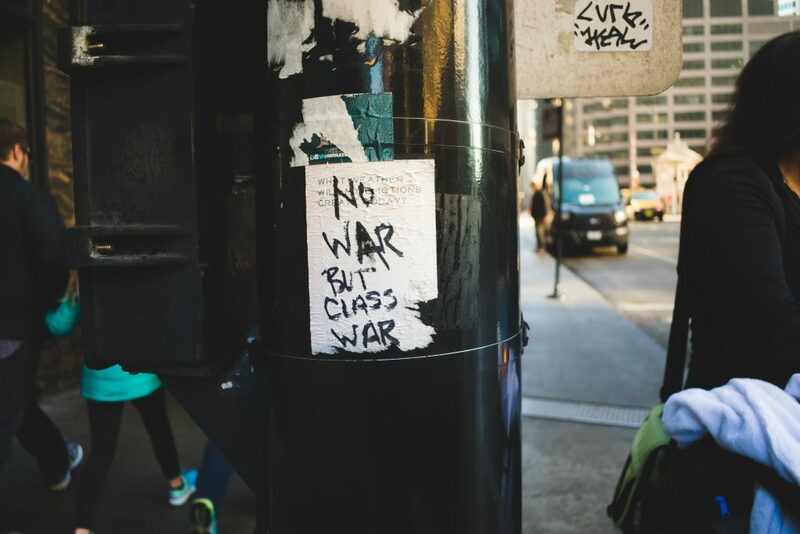 privatization often involves the systematic elimination of human rights protections and further marginalization of the interests of low-income earners and those living in poverty. Existing human rights accountability mechanisms are clearly inadequate for dealing with the challenges presented by large-scale and widespread privatization. Human rights proponents need to fundamentally reconsider their approach. The charter issue illuminates one of the more challenging questions about public education: what is a public school? Governed by private organizations, charters still call themselves public. But, as education professor David Labaree notes, don’t some “private schools…enroll students using public vouchers or tax credits, [and some] public schools…use exams to restrict access? For that matter, don’t private schools often serve public interests, and don’t public schools often promote students’ private interests?” How much of the definition of a public institution is based on its funding sources? And how much is based on its mission? In 2005, scholars and analysts in the United States and Canada were becoming increasingly concerned about the privatization of education, especially higher education. Just to spend a moment on the first kind of privatization there, Polster noted that between 1990-91 and 2000-2001, tuition fees in Canada rose by 126%, while average student debts rose from about $8,700 to $25,000. This was because students were paying a far larger share of the costs of postsecondary education, from an average of 17% of operating costs in 1992 to 28% of operating costs in 2002. Depending on the province in terms of severity, we can see that the rising personal tuition end debt burdens have continued to plague Canadian students and their families since 2005. And of course, in the United States, the tuition and debt burdens have become front page news, where outstanding student debt reached $1.5 trillion in the first quarter of 2018. My public university in New Hampshire is about 9% funded by the government; the rest is paid for by students through tuition. In 2017, the Thurgood Marshall College Fund announced a formal partnership with GoFundMe to raise money in support of students attending the nation’s forty-seven public historically black colleges. And a senior at a Baltimore, Maryland public high school launched a GoFundMe campaign and raised more than $80,000 to bring heat to her freezing school buildings. Students are increasingly carrying the burden for covering our school’s operating costs. Before we talk about the effects on teaching and learning and knowledge, let’s pause to look at some of the auxiliary services that are increasingly being outsourced to private companies. Local foods or multinational corporation? Our core strength as a university is not running parking facilities. So we should focus on what we’re really good at and hire others to do what they’re really good at. 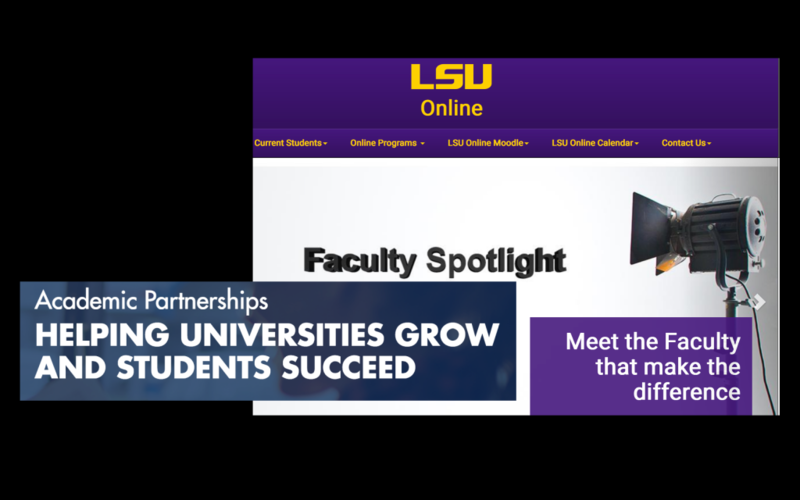 Louisiana State University’s agreement with Academic Partnerships goes so far as to explicitly request that marketing materials created by the OPM blend in with LSU’s regular branding; students would not have any reason to assume that the OPM content and delivery was not entirely managed within the university itself. It’s hard to see this all as anything other than a profit-driven attempt to commodify education, consumerize students, monetize data, manipulate algorithms and shift teaching and learning into an enterprise. 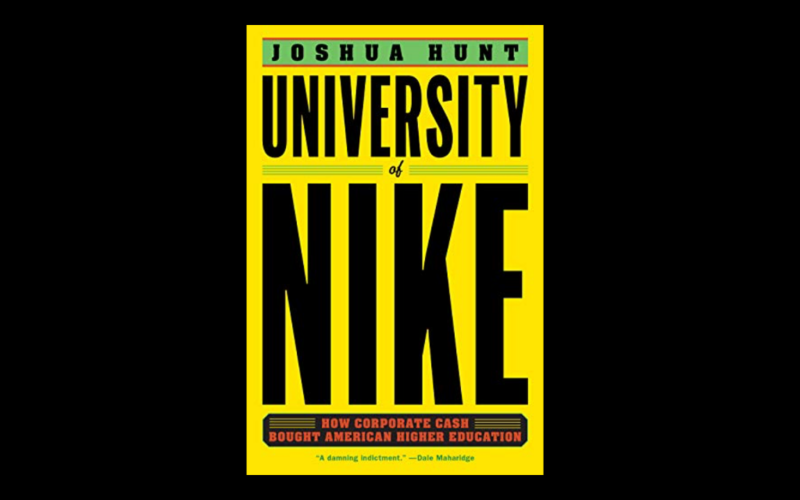 For those of us who work at universities not lucky enough to be shadow-controlled by Phil Knight, we might experience this corporate lean in a way that seems to be more connected to regional community needs. “Workforce partnerships,” where local industries help fund facilities and curriculum development in high-need labor markets, are designed to meet needs for both the markets and for students who will be graduating into them and who hope to be employed (not incidentally, so they can pay off their student loans). It’s another of the win-wins. But what is the long game here, from a public good perspective? If an institution takes on– for no compensation– the training of entry-level employees for an industry, what reason is there for that industry to retain or promote those employees as the field develops and changes, since they have a neverending pipeline of newly trained, less expensive young employees at the ready? 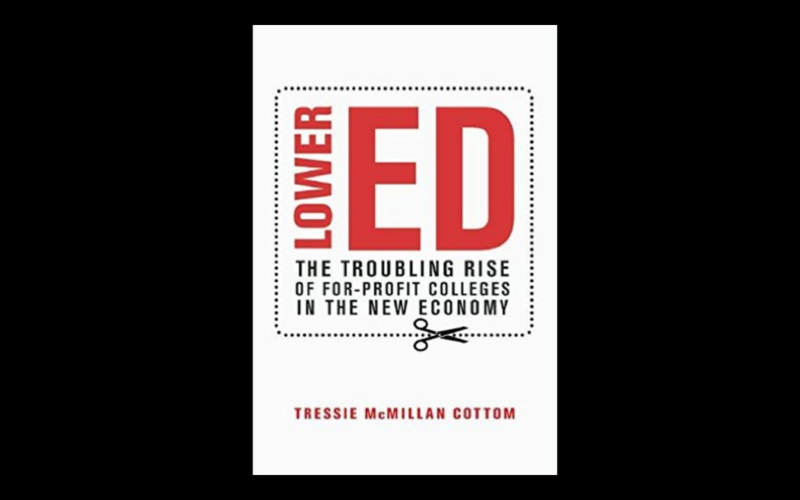 Sociologist Tressie McMillan Cottom tackles this in her groundbreaking book, Lower Ed. McMillan Cottom argues that we now think of college as an individual good, rather than a collective good that benefits society, which helps explain the credentializing craze that encourages learners to gird themselves against a rough labor market by accumulating certificates and degrees. She links the recent rise of for-profit colleges to our growing national aversion to public responses to labor market crises. When we have “skills gaps,” under- or unemployment, demographic shifts that affect industry, outsourcing and automation trends– when we have any challenge that confronts our students upon graduation, we solve these problems by asking industry what it needs to feel better. But what industry needs and what our students and communities need may not always be the same thing. We now think of a college education as an individual rather than collective good. 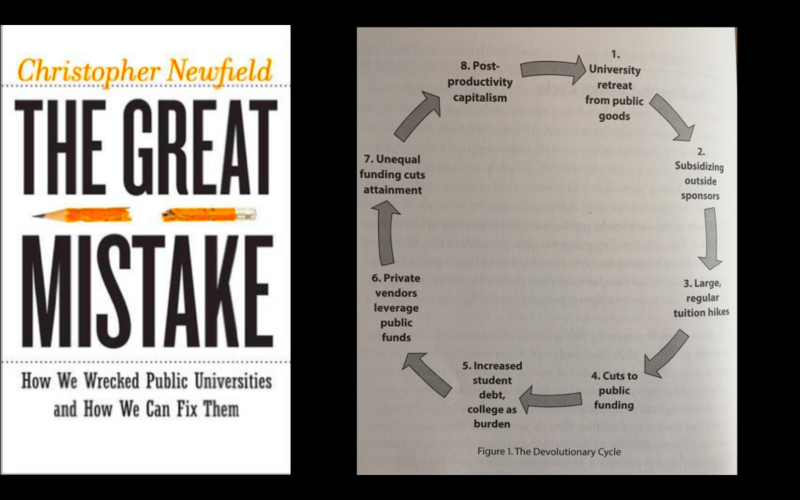 I think one of the best books for understand what happens when we place our faith in private markets to pull public higher education out of its crisis is Christopher Newfield’s The Great Mistake: How We Wrecked Public Universities and How We Can Fix Them. Newfield argues that private sector “reforms” are not the cure for the college cost disease– they are the college cost disease; they set up a devolutionary cycle that shifts resources away from education while raising rather than containing costs. We can see so many of the privatizing trends I’ve talked about represented in this cycle, from outsourcing to tuition hikes to the shift to private OPM vendors. What’s stunning about Newfield’s work, though, is how he sifts through the fallout in specific public colleges and universities to trace the negative impact that this privatizing turn has had on bottom-line revenues. In other words, regardless of what you think about the effect on teaching and learning, the other dirty little fact is that privatizing doesn’t even fix the myopic problems it seeks to solve. Newfield wants those of us inside public higher education to reclaim our public missions. In the final part of this talk, I want to articulate what that might look like. What does it mean to resist the trends as I’ve outlined them here, and instead focus our colleges and universities on teaching, learning, and research for the public good? We started by talking about the Uberization of public transportation, but I also want to suggest that private industry does not corner the market on innovation. Take RideAustin, for example. 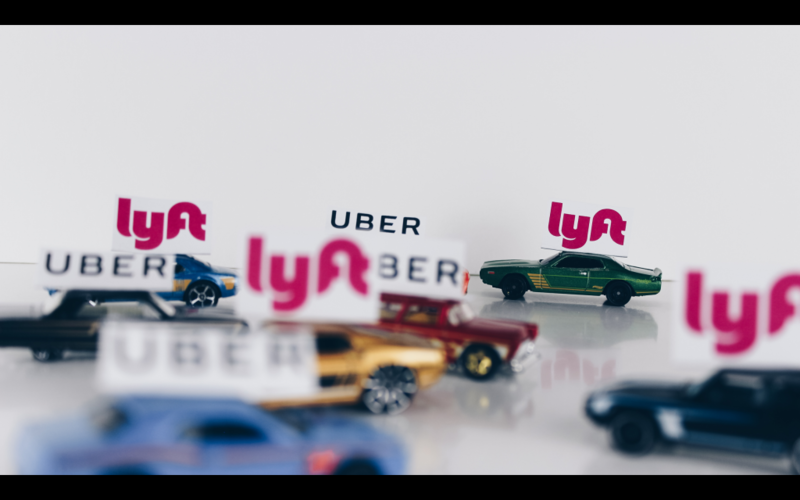 When it first rejected Uber’s request to operate within its city limits, Austin knew there were transportation needs that its current public infrastructure was not meeting. RideAustin is a public version of an Uber-type system, but it has critical differences. Part of its stated mission is “doing right by drivers, ensuring a fair wage, doing right by the community.” And RideAustin leadership states that they “want to make transportation more accessible for everyone in the Austin area.” RideAustin donates to local charities as part of its structural operations, offers free rides for doctor visits for those in needs, abides by city regulations, and (in stark contrast to Uber) makes its operational data public. 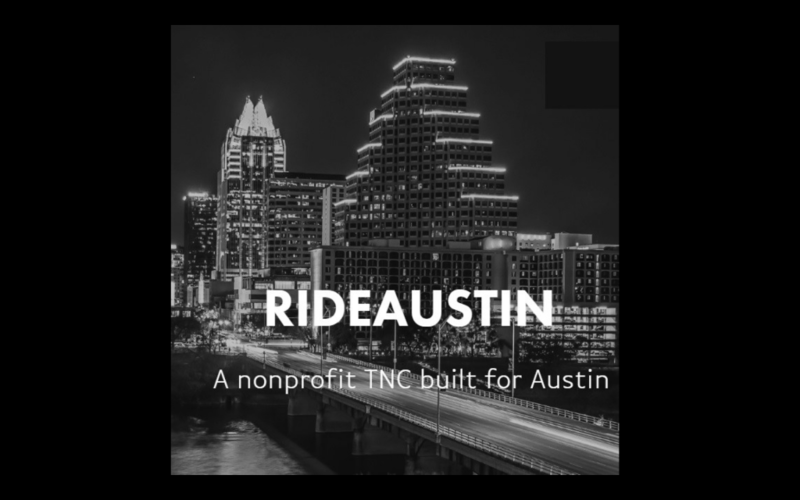 RideAustin is no panacea for anything, but it is a public response to a need, a response that returns its revenues back into the public ecosystem, and that centers access ahead of profit. I wonder how public higher education can resist Uberization, and innovate around principles that truly sustain our public ecosystems for learning and research. I don’t study any of this stuff for a living. I teach for a living. Through my teaching, I have come to care deeply about making education more accessible for more of my current and potential future students. When former New York City mayor Michael Bloomberg, the 11th richest person in the world, announced last week that he was giving $1.8 billion to Johns Hopkins University, I shuddered, wondering how someone who’d once governed the city could imagine that one of the richest private universities in the world– with an endowment already topping $3 billion– would be a better choice to receive this gift than the City University of New York, which enrolls a quarter million learners and has one of the most diverse student bodies in the United States. And then, after that shudder, I shuddered again to think that the best option I could imagine for CUNY was that a rich philanthropist would decide it was politically expedient for him to donate money to support the school. If you think I’m about to tell you how we generate $1.8 billion through public sources without alienating our tax base, sorry. But I am going to suggest that we need to start building evidence and a vocabulary for the value of our public work. It’s ridiculous to assume that it’s not a case that we can effectively make. Even in purely economic terms, there is substantial evidence that when taxpayers invest in public higher education, the financial rewards that are returned directly to them far outweigh their costs. Philip Trostel at the University of Maine released fantastic research funded by the Lumina Foundation in 2015. He quantified the rate of return on taxpayer investment in college students at 10.3%, and the rate of return to state and local governments at 3.1%. The fact that we think higher education is expensive for taxpayers and municipalities has nothing to do with math and everything to do with political rhetoric that protects the richest members of society– like Bloomberg– from paying a fair share. The spin is carefully orchestrated by a small percentage of wealthy folks protecting their interests, and we need to unspin it. Interestingly, Trostel’s report is titled “It’s Not Just the Money.” He details in its pages how we also undervalue benefits that go beyond the simple math of earnings. We all benefit from public higher education in private and public ways, in ways tied to markets and ways that aren’t directly tied to markets. 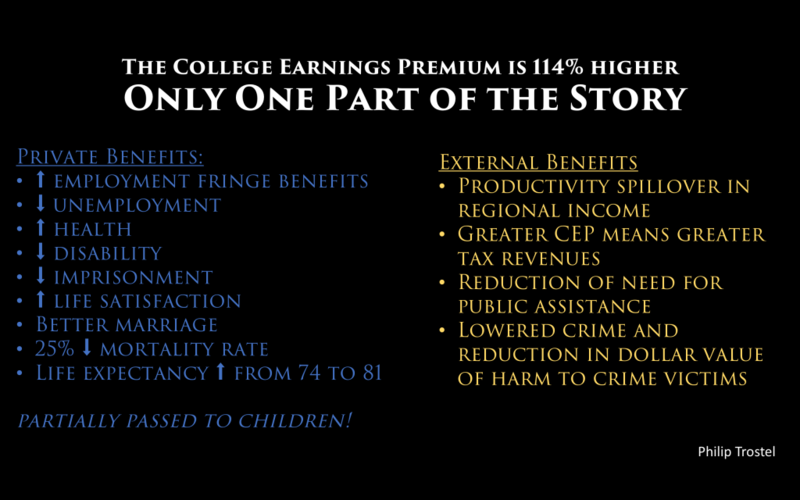 For example, the College Earnings Premium (CEP) is well documented. Trostel calculates that individual college graduates earn an average of 114% more than they would if they did not have a college degree. But focusing only on those private market benefits obscures other equally amazing benefits. Don’t tell me these are not persuasive. Live seven years longer!! Why don’t we talk about these? Why do we run so quickly to industry partnerships and private donors when the public power of education is so clearly valuable? I’d like to argue that every single faculty and staff member, beyond just our leadership, needs to become versed in value of what we do. And then we need to tie the mission of public access and public investment to the actual work that we do in designing our courses and programs. This is the main reason I have come to open. As I conceive of it, open is an ecosystem, made up of many related aspects. I could talk about all of them here, but really my focus is on open education, particularly open access, open educational resources, and open pedagogy. Public colleges and universities should have public funding to conduct research, and the results of that research should not be paywalled so that the public has to pay twice. Our libraries need to enter into consortia to flip to open access journals and resist the publishing conglomerates that bundle journals into exorbitantly priced units that students pay for through their tuition dollars. Faculty need to pass open access resolutions and support the publication of open access research in promotion and tenure processes, and we need to focus on peer review systems that offer strong quality control measures in our OA publications. If every public college and university– all of our librarians, all of our faculty, all of our administrators– committed to this and worked on it for a year, we’d simply do it. Open Access matters because the profit motive is problematic for the growth of knowledge. Take a recent kerfluffle with the Journal of the American Academy of Dermatology, where an article critical about how some doctors were being recruited by companies to promote medical practices that enriched those companies was taken off the journal’s website eight days after publication due to pressure from private industry. As a skin cancer patient, believe me when I say I don’t want anyone with a profit motive driving the publication mechanisms of dermatological research. And a taxpayer who funds autism research should have the opportunity to read an article about new treatments that could help her autistic son, even if she has no institutional access to a library database. Open Access isn’t just weaning off Elsevier. It’s a broader commitment to the integrity of our research, the free flow of ideas, and the belief that our work can and should matter in the world outside the academy. We should convert all textbooks, all materials made expressly for teaching, to open educational resources. We should fund their creation robustly, and fund their updating. We should partner across institutions to do it. If all faculty committed to adopting OER and creating more to fill in the gaps, and all administrators committed to directing funds to this work, we could do this in a year. We could just do it. OER matters not because textbooks matter. OER matters because it highlights an example of how something central to our public missions, the transfer of our foundational disciplinary knowledge from one generation of scholars to the next, has been co-opted by private profit. And OER is not a solution, but a systemic shift from private to public architecture in how we deliver learning. Open pedagogy is way of thinking about teaching and learning that foregrounds access, commons-oriented approaches to sharing knowledge, and connections inside of and between communities. On the ground in my courses, this can look lots of ways. It’s in my Open Anthology of Earlier American Literature, co-written with my students. It’s in my students’ ePorts, where they contribute their research and ideas back into the worldwide web instead of just being perpetual consumers of knowledge. It’s in openly licensing the materials I create for teaching, and in calling in collaborators instead of calling out competitors across sister institutions. 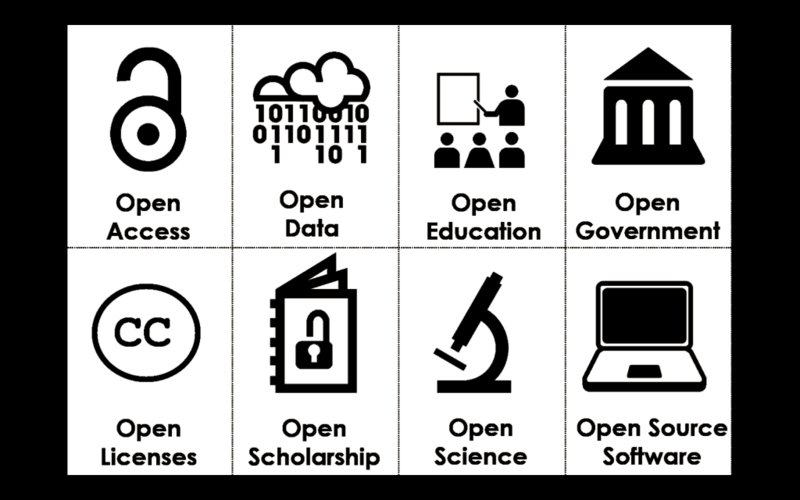 But whether it’s about how we research and publish, how we transmit information, how we teach and learn, open is most centrally about designing infrastructure from the perspective of our publics. This is not about openly licensing any one particular artifact. This is not about saving students $100 on a textbook here or there. This is about taking a stand for an ecosystem powered by infrastructure that actively strengthens the public good. I know that the “public good” is not easy to qualify; and hell, it’s even harder to quantify. But we know what privatization looks like, and we know that gated communities sequester and starve knowledge growth, and we know what public returns look like. what is slipping towards the private here? what would public infrastructure look like to do this work? what language do I need to describe a public vision for this future? what public value does this work deliver? how does this work strengthen a larger public good? how can public resources be sewn and grown to sustain a lasting and verdant ecosystem for education? What value does public space have? Why do we need public spaces for learning? What does it look like to create and sustain a public space? Don’t tell me it can’t be done. Look around. It’s us. Why not? This Works Cited was generated by Zotero. It’s imperfect, and I’ll work on trying to clean it up over the next few days. “Academic Partnerships.” Academic Partnerships Online, http://www.academicpartnerships.com/. Accessed 15 Nov. 2018. Alexander, Brian. “When Prisoners Are a ‘Revenue Opportunity.’” The Atlantic, 10 Aug. 2017, https://www.theatlantic.com/business/archive/2017/08/remote-video-visitation/535095/. Berman, Jillian. “Student Debt Just Hit $1.5 Trillion.” MarketWatch, https://www.marketwatch.com/story/student-debt-just-hit-15-trillion-2018-05-08. Accessed 18 Nov. 2018. Bloomberg, Michael R. “Opinion | Michael Bloomberg: Why I’m Giving $1.8 Billion for College Financial Aid.” The New York Times, 19 Nov. 2018. NYTimes.com, https://www.nytimes.com/2018/11/18/opinion/bloomberg-college-donation-financial-aid.html. Canada’s Road to Postal Privatization. https://www.nytimes.com/roomfordebate/2011/12/06/how-to-help-the-post-office/canadas-road-to-postal-privatization. Accessed 25 Oct. 2018. 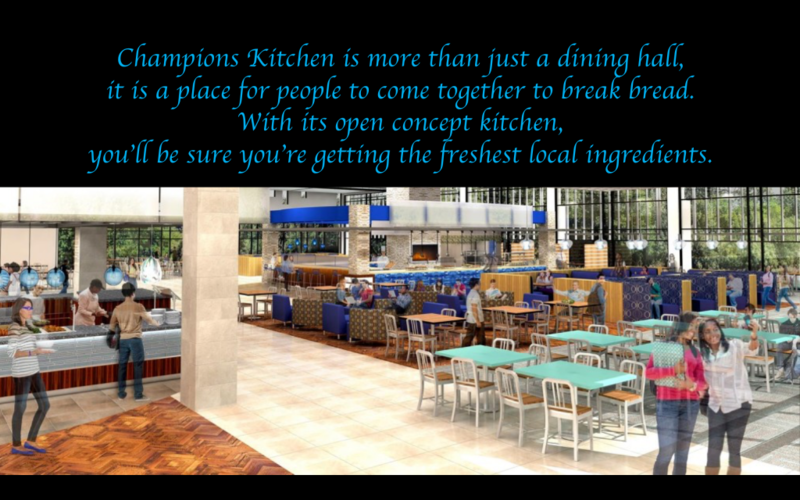 Champions Kitchen – University of Kentucky. https://uky.campusdish.com/LocationsAndMenus/ChampionsKitchen. Accessed 15 Nov. 2018. Cohen, Donald. Is Your Local Public Library Run by Wall Street? – In the Public Interest. https://www.inthepublicinterest.org/is-your-local-public-library-run-by-wall-street/. Accessed 25 Oct. 2018. Cottom, Tressie McMillan. Lower Ed: The Troubling Rise of For-Profit Colleges in the New Economy. The New Press, 2018. Dillon, Sam. “At Public Universities, Warnings of Privatization.” The New York Times, 16 Oct. 2005. NYTimes.com, https://www.nytimes.com/2005/10/16/education/at-public-universities-warnings-of-privatization.html. “Fighting the Privatization Wave.” ACADEME BLOG, 22 Oct. 2018, https://academeblog.org/2018/10/22/fighting-the-privatization-wave/. Foran, Max. Calgary, Canada’s Frontier Metropolis : An Illustrated History. Windsor Publications, 1982, http://www.ourfutureourpast.ca/loc_hist/page.aspx?id=3610564. French, Sally. 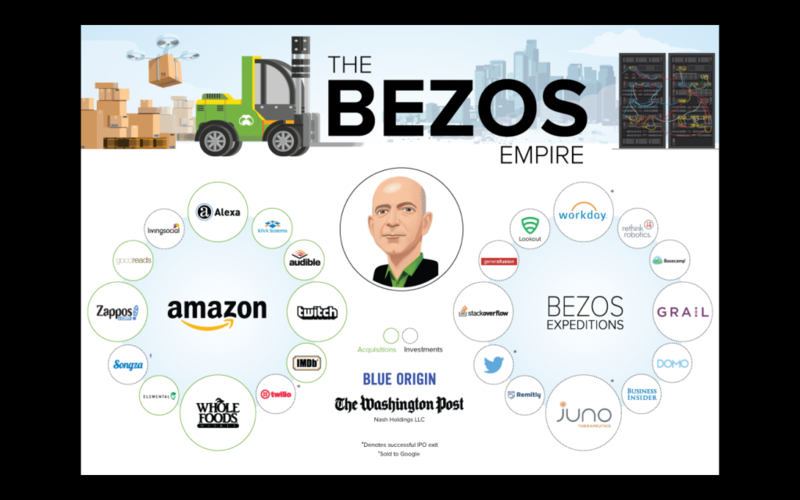 “All the Companies in Jeff Bezos’s Empire, in One (Large) Chart.” MarketWatch, https://www.marketwatch.com/story/its-not-just-amazon-and-whole-foods-heres-jeff-bezos-enormous-empire-in-one-chart-2017-06-21. Accessed 17 Nov. 2018. “Go Fund Me.” Trinity Western University, 6 Dec. 2017, https://www.twu.ca/financial-aid/go-fund-me. —. Trinity Western University, 6 Dec. 2017, https://www.twu.ca/financial-aid/go-fund-me. Goldenstein, Taylor. “Pilot Program to Offer Low-Income Patients Free Trips to Doctor.” Austin American, https://www.statesman.com/NEWS/20170706/Pilot-program-to-offer-low-income-patients-free-trips-to-doctor. Accessed 28 Oct. 2018. Hannigan, John. Fantasy City: Pleasure and Profit in the Postmodern Metropolis. Routledge, 1998. WorldCat Discovery Service, http://catdir.loc.gov/catdir/enhancements/fy0649/98023774-d.html. HESA_SPEC_2018_final.Pdf. http://higheredstrategy.com/wp-content/uploads/2018/08/HESA_SPEC_2018_final.pdf. Accessed 16 Nov. 2018. How a Garden for the Poor Became a Playground for the Rich – The New York Times. https://www.nytimes.com/interactive/2018/10/18/nyregion/new-york-city-inequality-gentrification.html. Accessed 25 Oct. 2018. “How the Large-Scale Privatization of New Orleans’ Schools Upholds Inequality.” Truthout, https://truthout.org/articles/how-the-large-scale-privatization-of-new-orleans-schools-upholds-inequality/. Accessed 25 Oct. 2018. “Trump Won’t Believe His Own Intelligence Community — Again.” Washington Post, https://www.washingtonpost.com/politics/2018/11/15/trump-administration-is-trying-hard-not-blame-saudi-crown-prince-khashoggis-death/. Accessed 17 Nov. 2018. Hunt, Joshua. “The Secret Betrayal That Sealed Nike’s Special Influence Over the University of Oregon.” Pacific Standard, https://psmag.com/education/the-secret-betrayal-that-sealed-nikes-special-influence-over-the-university-of-oregon. Accessed 16 Nov. 2018. 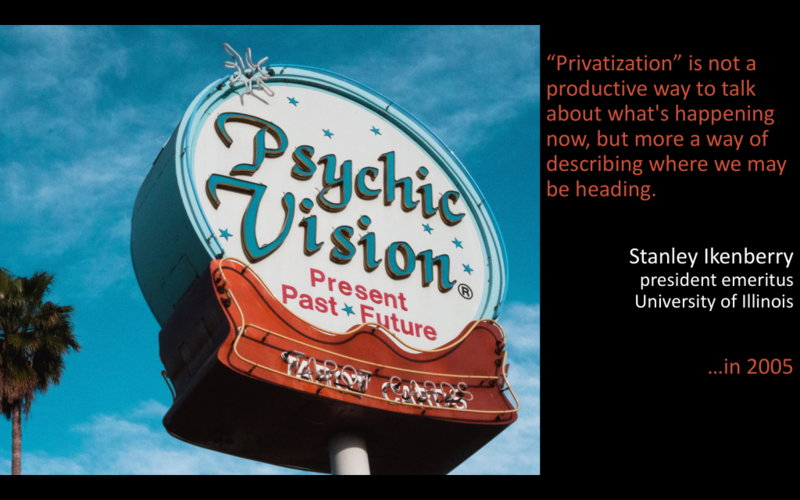 “Ins and Outs of Privatization.” American School & University, 1 Sept. 1998, https://www.asumag.com/outsourcingcontract-services/ins-and-outs-privatization. Is It Time to Get Rid of Canada Post? – National | Globalnews.Ca. 18 Oct. 2018, https://globalnews.ca/news/4567926/privatization-canada-post/. It’s Time for Ottawa to Think about Privatizing Canada Post’s Booming Parcel Delivery Business. The Globe and Mail, https://www.theglobeandmail.com/business/commentary/article-its-time-for-ottawa-to-think-about-privatizing-canada-posts-booming/. Accessed 15 Nov. 2018. Labaree, David F. “Public Schools for Private Gain: The Declining American Commitment to Serving the Public Good.” Kappanonline.Org, 22 Oct. 2018, http://www.kappanonline.org/labaree-public-schools-private-gain-decline-american-commitment-public-good/. Labott, Elise, Veronica Stracqualursi and Jeremy Herb. “CIA Concludes Saudi Crown Prince Ordered Journalist’s Death, Sources Say.” CNN, https://www.cnn.com/2018/11/16/politics/cia-assessment-khashoggi-assassination-saudi-arabia/index.html. Accessed 17 Nov. 2018. Markgraf, Matt. Murray State President: &quot;We Are Becoming Privatized&quot; http://www.wkms.org/post/murray-state-president-we-are-becoming-privatized. Accessed 25 Oct. 2018. Mohler, Jeremy. Why Public Space Is so Valuable – In the Public Interest. https://www.inthepublicinterest.org/why-public-space-is-valuable/. Accessed 25 Oct. 2018. “Nestlé Plans Dramatic Expansion of Water Privatization in Michigan, Just 120 Miles From Flint.” EcoWatch, 2 Nov. 2016, https://www.ecowatch.com/nestle-bottled-water-flint-2075968508.html. Newfield, Christopher. The Great Mistake: How We Wrecked Public Universities and How We Can Fix Them. Johns Hopkins University Press, 2018. Demographics of Mobile Device Ownership and Adoption in the United States. http://www.pewinternet.org/fact-sheet/mobile/. Accessed 17 Nov. 2018. DeRosa, Robin. OER Is Catalyst for National Conversation about Public Higher Education | Inside Higher Ed. https://www.insidehighered.com/digital-learning/views/2017/11/01/oer-catalyst-national-conversation-about-public-higher-education. Accessed 18 Nov. 2018. Online Program Management. 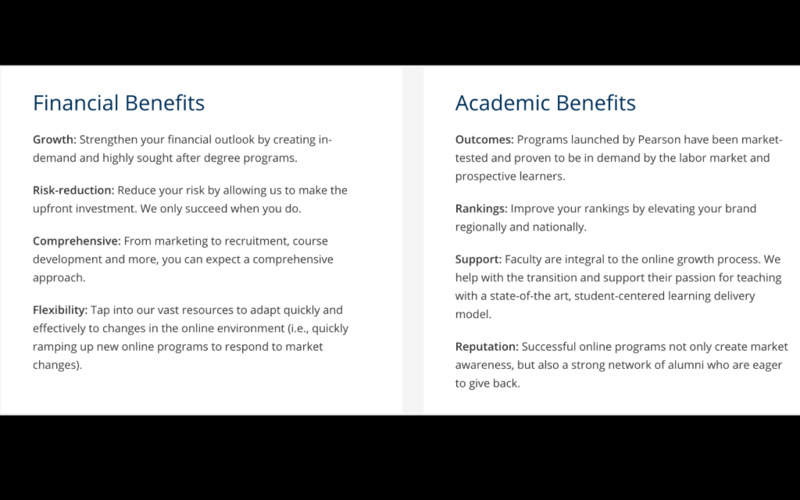 https://www.pearson.com/us/higher-education/products-services-institutions/online-program-management.html. Accessed 15 Nov. 2018. Online Program Management Providers, Now a Billion-Dollar Industry, Look Ahead. https://www.insidehighered.com/news/2015/09/11/online-program-management-providers-now-billion-dollar-industry-look-ahead. Accessed 18 Nov. 2018. “Parking Meter Deal Keeps Getting Worse for City as Meter Revenues Rise.” Chicago Sun-Times, https://chicago.suntimes.com/politics/parking-meter-deal-keeps-getting-worse-for-city-as-meter-revenues-rise/. Accessed 17 Nov. 2018. Privatizing Canada’s Public Universities. https://canadiandimension.com/articles/view/privatizing-canadas-public-universities-claire-polster. Accessed 25 Oct. 2018. Schiller, Ben, and Ben Schiller. “Could London Set Up A Nonprofit, Cooperative Alternative To Uber?” Fast Company, 2 Oct. 2017, https://www.fastcompany.com/40473251/could-london-set-up-a-nonprofit-alternative-to-uber. Schofer, Joseph L. “Pay Toll Ahead; Privatizing Infrastructure Comes with a Trade-Off.” Chicagotribune.Com, https://www.chicagotribune.com/news/opinion/commentary/ct-infrastructure-privatize-tolls-fees-costs-perspec-0613-md-20170612-story.html. Accessed 25 Oct. 2018. Sernovitz, Gary. What New Orleans Tells Us About the Perils of Putting Schools on the Free Market. July 2018. www.newyorker.com, https://www.newyorker.com/business/currency/what-new-orleans-tells-us-about-the-perils-of-putting-schools-on-the-free-market. 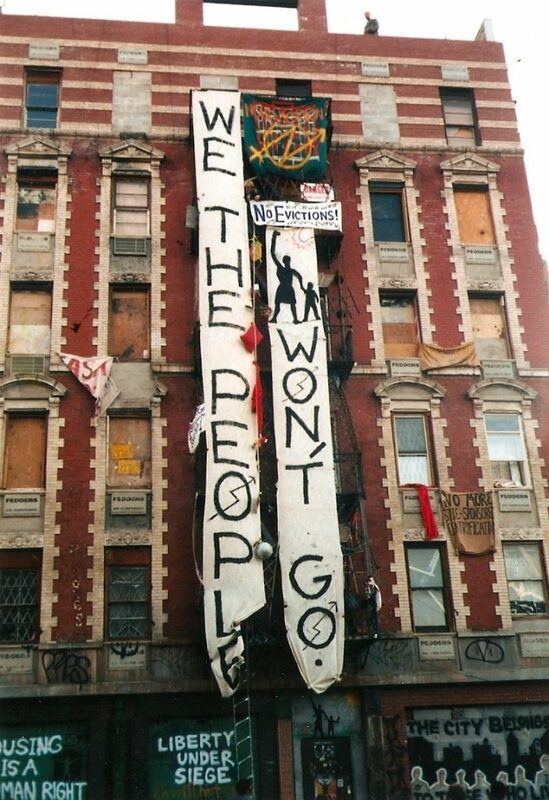 “Squatters of the Lower East Side.” 99% Invisible, https://99percentinvisible.org/episode/squatters-lower-east-side/. Accessed 25 Oct. 2018. “Flint Schools Receive Water Stations, Filtration Systems from Billionaire Elon Musk.” https://www.abc12.com/content/news/Flint-schools-receive-water-stations-filtration-systems-from-billionaire-Elon-Musk-495276151.html. Accessed 18 Nov. 2018. Picchi, Aimee et al. One Winner under Trump: The Private Prison Industry. https://www.cbsnews.com/news/one-winner-under-trump-the-private-prison-industry/. Accessed 26 Oct. 2018. “The Private Side of Public Higher Education.” The Century Foundation, 7 Aug. 2017, https://tcf.org/content/report/private-side-public-higher-education/. “The Problem With Privatizing Prisons.” JSTOR Daily, 15 May 2017, https://daily.jstor.org/the-problem-with-privatizing-prisons/. “Thurgood Marshall College Fund Announces GoFundMe Partnership For HBCU Students.” Black Enterprise, 7 Nov. 2017, https://www.blackenterprise.com/thurgood-marshall-college-fund-announces-gofundme-partnership/. Trostel, Philip, and Margaret Chase Smith Policy. IT’S NOT JUST THE MONEY. p. 73. UK Breaks Ground on New Dining, Student Support Facility – Lane Report | Kentucky Business & Economic News. https://www.lanereport.com/38228/2014/09/uk-breaks-ground-on-new-dining-student-support-facility/. Accessed 15 Nov. 2018. “Students Use GoFundMe to Try to Pay for College.” Cleveland.Com, 20 Feb. 2017, http://www.cleveland.com/metro/index.ssf/2017/02/college_students_seeking_funds.html. “University of Kentucky Plans to Privatize Its Dining Services.” Kentucky, https://www.kentucky.com/news/local/education/article44469855.html. Accessed 25 Oct. 2018. Vehicle Ownership in U.S. Cities Data and Map. http://www.governing.com/gov-data/car-ownership-numbers-of-vehicles-by-city-map.html. Accessed 17 Nov. 2018. Why Private Equity Is Furious Over a Paper in a Dermatology Journal – The New Yo.Pdf. Woodman, Spencer. “Uber Wants to Take over Public Transit, One Small Town at a Time.” The Verge, 1 Sept. 2016, https://www.theverge.com/2016/9/1/12735666/uber-altamonte-springs-fl-public-transportation-taxi-system.